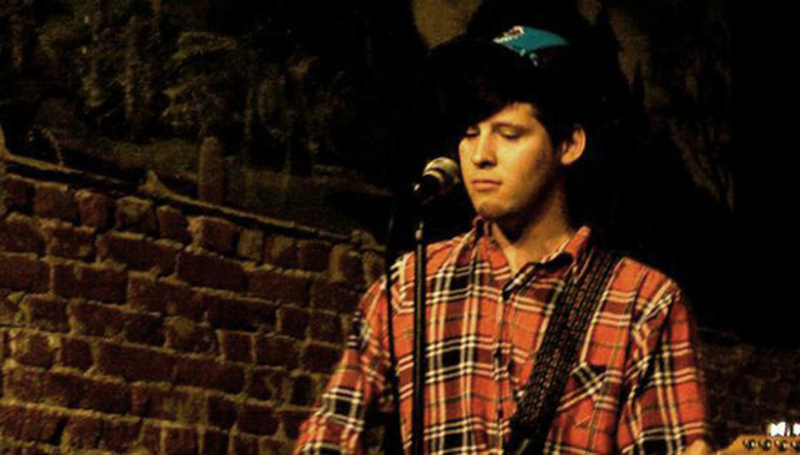 Meet Nathan Williams, a one-man noise machine from California. You probably know him better as Wavves, the name by which he releases his surf punk anthems and the moniker he chose due to being scared of the ocean. Having released various 7" singles on numerous small independent labels over the last year not to mention a self-titled album of lo-fi classics that even had Alan McGee blogging like a rabid teenager late last year, 2009 looks set to be an even bigger year for Williams as he takes his show on the road around Europe and puts out his imminent second long-player. DiS recently caught up with him on the penultimate date of his first UK tour at Nottingham's Chameleon Arts Centre. What sort of a reception have you been getting from UK audiences on this tour? Were you worried about whether you'd be well received over here before the tour started? There were some shows where I sort of looked at the date or got to the venue and wondered if this was a good idea but once the show has started and people have turned up and enjoyed it that's not been the case at all. Most of the shows have sold out either in advance or on the night so if anything its been beyond all expectations to be honest. You were name-checked by Creation Records legend Alan McGee as one of his main tips for success in 2009. How did that make you feel? Really? I didn't know about that! Wow, that's really cool. I don't really read much internet stuff about Wavves any more so I would have missed that but, er, thanks, that's really nice to know. Talking about the internet, you first became known for your blogs about music (mainly hip hop). Did that initially inspire you to start writing your own music? It's hard to say what got me into it to be honest. I would probably have to say that my parents saying they didn't want me listening to such music turned me onto it in the first place! I managed a record store in San Diego for a couple of years so I had access to all kinds of music that maybe I wouldn't have been exposed to otherwise. In the end I just started writing my own stuff, and as time went on it started to get more prolific, and I guess when you're getting positive feedback from other people that can inspire you too. What about your lyrics? Where does the inspiration come from there? Just daily stuff I suppose. Get stoned, get drunk, go to the beach, hang out with friends, act stupid...real basic things. There are also a number of musical interludes that mould the songs together on your first album. How did the ideas for these come about? They were just snippets really, half complete ideas that didn't make sense on their own but fitted well as part of the record. It's quite remarkable that you write, construct, play, record and produce everything yourself. Have you any thoughts about getting a full band together in the future? No, not really. Recording is a lot easier if I just do it by myself, and to be quite honest, I think I'd be an absolute nightmare to work with so we'd probably end up falling out all the time rather than getting anything constructive done! Will there be many new songs in your live set on this tour? I have a lot of new songs actually, many of them written while I've been on the road. Mainly the set is based upon the two albums though, Wavves and err...Wavves. There are a lot of other new songs that are being worked on and improved so the next time we're over here they may form the bulk of the set. Are you planning to return to the UK in the forseeable future? Well we're in Spain at the back end of May for Primavera and I think we're doing some UK festivals after then, so we'll hopefully arrange some shows in the meantime. Do you think Wavves can achieve mainstream success as well as underground credibility now that there's a wider audience picking up on your music? I don't know. It's not something I really think about but I guess it's possible. I mean, I never thought I'd be in the UK right now playing these songs that I wrote at my mom's house so I guess in that sense, anything is possible, but who knows what the future holds? I'm not opposed to it necessarily as long as I'm still allowed to keep doing things my own way. Finally, are there any other artists who you'd recommend DiS readers to be looking out for at the minute? Yeah, I like this band Woods - Jeremy from Woods put out my first record on his label Woodsist - and also Blank Dogs, and of course Pens, who we've been touring with.